Whether your business is product-based or service-based, it needs a lot of attention to make it more productive and reliable for the customers. There are several important components in a business such as business application, tools, software, resources, equipment and processes that must be taken care of time in order to avoid huge losses. One of the best solutions is to systemize your business so that you save your ample time, make your business consistent and productive. You need to hire trained, skilled, hard-working and experienced employees to manage your business data in such a way that it is easier to understand different processes with repetitive tasks, hence saving your valuable time. All you need to do is acquire professional outsourcing services to simplify your management processes. 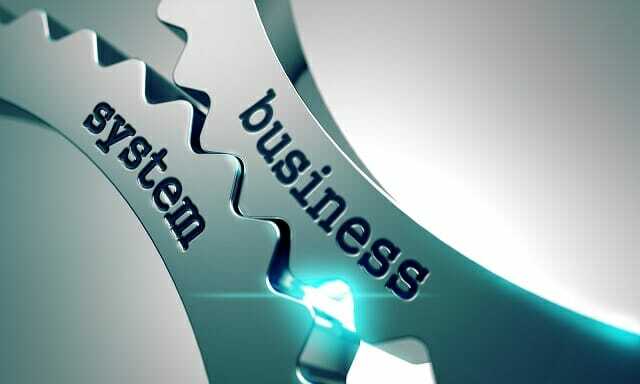 In this post, we list four business areas that need to systemize ASAP to get the desired results. Let’s take a look. Bookkeeping is one of the most complex processes which involves accounting, finances and the management of money aside from your business. Management of invoices and payments made to the clients on a day-to-day basis is the major work that comes under bookkeeping. Bookkeeping not only provides the information about business accounting but also about the clients involved in your business. Each transaction done within the business be it purchase or sale needs to be recorded. Bookkeeping helps to ensure timely updations of finances and maintain accurate records for the same. If you think your company is unable to manage different processes at a time, it’s advisable to systemize the process with the help of a reliable and efficient business process outsourcing company. Client processes are the most challenging business tasks out of several. It is because it needs face-to-face interactions, scheduling appointments, organizing meetings, understanding their views and so on. Most times, client processes are referred to as the Customer Relationship Management. It’s important for businesses to incorporate those clients into their business who prove to be beneficial and reliable. However, to choose that one most preferable client for your business, you need to systemize the client processing so that you do not contact the same person again and again. Once you have selected the clients, all you need to do is jot down the work from the starting so that you do not skip any part. Conduct follow-up meeting to give the update on the work going on. The best way is to avail call center services that can help you manage the appointments and other client-related processes. Content marketing processes are the most important business-growing tools. Content development help businesses to gain reputation in the competitive market, increases the number of clients and customers, market your products and services and enhances your website ranking. Make sure, the content that is getting published on your website is unique, creative and free from plagiarism to gain the attention of the potential customers and clients. Try to put as much information as you can in your blogs, articles, and web pages to attract more people. Establish editorial calendar to help clients in managing their business-oriented tasks. In addition, try to publish your well-written and extremely effective articles on other popular websites to get recognition. If you do not have a full-fledged team of content, you can outsource the work to some expert content developers or a company that is capable of delivering the work on time. Social media marketing is one of the best ways to establish your market and make it more effective and reliable for the customers and the clients. It is the best tool to market your services and products publicly. You need to publish your articles, products and service banners to different platforms such as Instagram, Twitter, LinkedIn, and Facebook in the most effective way. Ask your friends, family, employees and colleagues to visit the page and make it popular. Also, spread the message to your network to make your business’s service more popular. Post as much social bookmarking posts as you can keeping in mind they must attract the potential customers. Although the task looks simple, it needs a lot of efforts and systemization of the repetitive tasks so that it is easier for you manage. You can avail call center services for social media processes to get effective and instant outcome. They have experienced candidates taking care of such processes. Each business is different and unique in its own way. However, to make it more effective and productive, you need to systemize your different business processes to avoid repetition of the tasks. Building an in-house team for handling these procedures is expensive and time-consuming as you will need resources, equipment and conduct hiring programs. Therefore, it’s advisable to avail outsourcing call center services to make your processes more effective and reliable for clients and customers. Before choosing an outsourcing company, you need to research about different companies, look at their past records, customer satisfaction levels and check the customer reviews ion their website. Make sure, they have experienced, qualified, skilled, and trained professionals to handle customers while providing them support or marketing your product or service. By doing a thorough research, you will be able to make-up your mind that the services you are going to avail are excellent and reliable. Above all, you need to systemize your processes and documentation procedures so that you are able to get the desired outcomes via outsourcing companies.